Where in the World is Ukraine? A Brief History of Ukraine. In August of 2005, Midnight in America, an outreach of Midnight Ministries in the United Kingdom, started its own outreach in the country of Ukraine. This was not a planned event, and the story of how this ministry came to be is quite unique. It is obvious (to us, at least) that God had a hand in this from the very beginning. We are not sure of all of His plans for us in these ministries. We simply go, in faith, where He leads us. He never ceases to excite and amaze us! Ukraine is located in Eastern Europe. 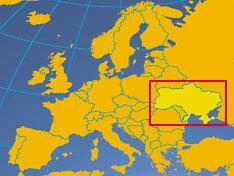 It forms the entire northern shore of the Black Sea between Poland and Russia. The map to the left illustrates the basic geographical location of Ukraine in relation to all of Europe. The country is roughly the size of the state of Texas in the United States, and is approximately 233,090 square miles (603,700 sq km) in area. This makes it the second largest country in Europe. The country is made up mostly of fertile plains. The Carpathian Mountains are found in the west and the Crimea Peninsula in the southern part of the country. Ukraine has a rich, yet turbulent history. This is primarily due to its strategic location. With its southern border on the Black Sea, it provides a natural crossroads between Russia and the other countries of Europe. Kiev, Ukraine’s capital, was established in the 6th century by Slavic tribes. Kiev was located on lucrative trade routes, and quickly prospered. Christianity became prominent in 988 due to the conversion of the nobility by Prince Volodymyr. By the 11th century, Kievan Rus was the largest state (geographically) in Europe. Constant conflict caused a decline in the 12th century, and the Mongols nearly destroyed Kiev in the 13th century. During the 14th century, Poland and Lithuania annexed much of what is Ukraine today. It was during this time that the people began to think of themselves as a people. It was this growing “national” pride that led to revolts. Peasants who rebelled against the Polish efforts to enslave them became known as Cossacks, and had a fierce reputation. In 1667, Ukraine was split between Russia and Poland, and in 1793 was completely taken over by Russia. Always striving for their autonomy, the Ukrainian people were determined to establish their own culture and independence. Imperial Russia tried to thwart this by imposing strict rules that banned the study of the Ukrainian language and strove to eliminate Ukrainian culture. Shortly after the Russian revolution, Ukraine declared independent statehood, and in 1918 declared independant statehood, and in 1918 declared their independance. This was a short-lived venture due to war. Eventually, the Red Army forced the Ukrainian out of Kiev, and Ukraine was annexed into the Soviet Union. Under Stalin, the people were subjected to terror. Many people were executed and millions were sent to the labor camps in Siberia known as the “Gulag”. During World War II, the Nazis invaded Ukraine and entered Kiev in September of 1941. During their occupation over 200,000 people were killed in concentration camps and 100,000 were sent out to slave labor in Germany. Kiev was liberated in November of 1943 by the Soviet Army. However, liberation under Stalin meant the same type of terror as it was before the war. After Stalin’s death, much of the terror was relaxed. However, Ukrainian culture was once again attacked, and the language severely suppressed. In 1986 the disaster at the Chernobyl Nuclear Power Plane caused thousands of deaths and even more health problems, which continue to affect the country's population to this day. The corruption, negligence, and lack of concern for the people that surfaced as a result changed the hearts of the people. In July of 1990, the legislature proclaimed Ukraine’s sovereignty. On August 24th, 1991 the Rada (the Ukrainian Parliment) announced the Declaration of Independence. Later on, 93% of the people voted for independence and chose their first President, Leonid Krawchuk. Early religion in Ukraine was pagan idol worship, as was the majority of Europe at the time. In 988, as a result of Byzantine Empire influence, Prince Vladimir the Great introduced Orthodox Christianity . Most of the country soon forced to convert to Christianity. According to the Encyclopedia Britannica, half of the Ukrainian people consider themselves nonreligious. The accuracy of this is anybody's guess. Other sources show 22% of Ukrainian people claiming to be atheist, with 38% saying that they attend church regularly. Of those who are believers, approximately 51% belong to the Ukrainian Orthodox Church. Protestants make up 2.25%, as do Roman Catholics. Judaism accounts for about 1% of the population which is drastically down from numbers prior to the second world war. My wife Mila was born Lyudmyla Hrekul (pronounced "gre-kool") in 1957 near the city of Chernivtsi in Ukraine. Her parents were high school teachers (now retired), and she along with her brother, lived a simple yet happy life in a small village. Later Mila attended a university where she majored in the English Language. In the late 1990's Mila came to the United States on a special visa, and settled in Texas. We met in 1999, and Mila moved to the state of Georgia where were married in April of 2000. A couple of years later Mila became a Christian. Soon after, we came into contact with Malcolm Heap of Midnight Ministries. In a manner of months we started our own ministry called Midnight in America. A full account of the early history of our ministry can be found by reading Who We Are and What We Do on this website. This portion of the story takes a very complicated turn. I will avoid all of the many complex details involved, and attempt to relate this episode as easily as possible. Prior to 9/11, the INS was a huge, inefficient government bureaucracy. Dealing with them was far more difficult than dealing with the IRS (Internal Revenue Service), if one can believe that. When we married, Mila had not yet obtained "permanent residency". She had applied before meeting me, but now that we were married her status had changed and US law required that we reapply. We filed the necessary paperwork, and paid the many required fees. We then made a trip to Atlanta, Georgia to the regional INS office. While there we were informed that there was a problem with Mila's status. Her paperwork was to be forwarded to Kiev, Ukraine and at some point, in the future, she would have to fly to Kiev and receive a new immigration visa. They estimated that we would possibly get everything taken care of in 3-4 months. Shortly after all of this, the tragic events of 9/11 occurred. This changed the whole structure and scope of the INS. In fact, the INS no longer exists. What was once the INS has now become The U.S. Citizenship and Immigration Service (USCIS), and became part of the Department of Homeland Security. What was once a huge and inefficient government bureaucracy had now become a mammoth of inefficiency and bureaucracy. We knew that the events of 9/11 would have a long term affect on our situation. However, we never dreamed of what would eventually happen. Four years passed after our Atlanta trip, and nothing happened. Finally, I decided to take some action. Mila wanted to visit her aging parents, but could not leave and reenter the country without a valid visa. I wrote a letter to the district manager and explained our situation. I heard back from the director within 10 days, and very soon afterward we received notice that Mila had to be at the U.S. Embassy in Kiev Ukraine in 10 days! We scrambled to make all of the necessary arrangements and appointments. On August 29, 2005, Mila was on her way to Ukraine with the hopes (and expectations) of returning in 2 weeks. Little did we know that this was not to be. When Mila went to the U.S. Embassy, they presented her with some very bad news. They informed her that according to the law, part of the time she had lived in the U.S. was considered illegal, and now she would not be granted a visa to return. Since she had committed this "crime", she would be denied entry for a minimum for 10 years! She was told that since her "crime" was unintentional, we could apply for a "waiver", and that I should submit a "Letter of Hardship", but they would not provide us with any details as to what these things were. One person at the embassy told Mila that they could not tell her what was to be included in this letter of hardship! I had done a little research and asked some people what the "letter of hardship" was, and could not get a definite answer. I did the best I could with the information I had. She filed the paperwork, paying the required fees yet again. We then had to wait for their decision. After a period of not getting any word about our status, I began calling. I must have made a couple of dozen phone calls to the embassy in Kiev, the embassy in Moscow (where everything had been forwarded to), and with offices in Washington D.C.. I could not get any definitive answers. I finally received notice via Federal Express. The decision had been made. Mila's waiver had been denied. The letter which accompanied this decision gave ridiculous reasons for the denial. Primarily, my "letter of hardship" was not satisfactory. Also, they classified Mila as one who "had no regard for the laws of the United States"! Yes, they said this even after we had gone to extremes to comply with the law. Had we not done anything, the way millions of "illegal immigrants" in this country have done, Mila would still be here without any fear of getting "caught". We were told that we had one last resort. We could appeal the decision made my the embassy in Moscow.  By this time I had done even more extensive research on the internet, and after visiting hundreds of web pages, I found information about this "letter of hardship". I filled out the necessary paperwork, sent it in, and was once again caught up in the bureaucracy. Paying this last fee became the hardest issue since the office in Moscow required that cash be paid to apply for the appeal! How was I to pay cash when Mila was in Ukraine and I was in the United States? Again, after numerous phone calls to the various embassies and government offices, we got it straightened out. By this time we had paid over $1,200 in fees to the U.S. government, not to mention the FedEx charges, international long distance calls, plane tickets, and overnight trips from Mila's hometown to Kiev. All told, I believe we have spent over $3,000 during this whole fiasco. Our answer to the appeal was not going to come quickly. I discovered that people in Mila's situation were in a backlog, and her case would not be reviewed for at least 15 months. This is where we are today, waiting still on that appeal decision. Some months before leaving the United States, Mila had begun to translate certain works by Midnight Ministries into the Russian Language. We really did not know where we were going to go with this, but we were moved by God to start this work. After Mila was "stranded" in Ukraine, it became obvious that God wanted these translations to be done. God arranged it so that Mila received a computer and a printer at a very good price, and she began to her new work. Soon Mila was moved to begin printing some of her translations. Quite wonderfully, God made her contact a family business, a publishing company, in the nearby city of Chernivtsi, who gave her very reasonable prices for their printing services. She arranged the matter with them, and had some of the materials put into printed, book form. As time went on, and more literature was translated, we were able to have all of the translations printed. In March of 2006, at the suggestion of Malcolm Heap and with verification from the Lord, I started work on our website, with the primary goal of putting the translations on the internet to make them accessible to Russian speaking people all over the world. Our website went up on June 20, 2006, and has been growing ever since. I concentrated first on our Russian site, and then expanded our home English site to what it is today. We have both been very busy with God's work ever since. God, in His great wisdom, provided a means of sending His truths (via MM literature) to Russian-speaking people, and He provided Mila and me with a very interesting, and time-consuming work to occupy us while we are separated. The people in this part of the world are starving for God's truth. What they receive now is terrible, as the Orthodox Church is the primary influence. In addition, there are many false ministers that are corrupting God's truths, and leading many people into darkness. While this is the case in virtually every country of the world, God did not yet have a voice in Ukraine. Mila is now providing that voice for the Lord. A small voice, to be sure, but a voice still. It is an exciting, though (at times) sad work that we do. Most do not accept God's truth, just as is the case everywhere. Nevertheless, we are providing a witness, and God's glory will shine! life in this evil world, there is not much free time, and it is easy to become distracted and put off God's work. Mila had her own business in the U.S., and that took up much of her time. She also had various hobbies and other activities as we all do. Finally, even if she spent all "free time" on translations, the work would have been going too slowly. There's not much time left! When Mila got to Ukraine, she had no business, no work, and virtually nothing to do (except help her aged parents). She was now in a perfect environment to do the work of God. I too found myself in a somewhat similar situation. While I have carried on a part of the family business (so that we may survive! ), I have ample time to do the necessary work on this end. Throughout all of this, God has provided for us, supported us, and encouraged us. Mila has distributed the printed materials to interested people in Ukraine with whom she has come into contact, and has done a number of mass mailings to churches within Ukraine. She continues to work on translating literature published by Midnight Ministries, and will continue to do so until the Lord directs us otherwise. We have a list of all the materials that Mila has translated. You may see this list by visiting our Literature Translated Into Russian page. Mila has been receiving dreams from God for quite some time. Some are specific to our situation, but most are meant for the churches of the world and for God's chosen people. In March of 2007 Mila began translating these dreams into Russian. I then created a webpage for them so that all Russian-speaking people may benefit from the revelations God has given. We have plans to post them in English as well, though we will wait on the Lord to direct us. We have temporarily stopped the printing of the latest translations at the direction of the Lord. However, the translation work continues, and all newly translated material is put on the Russian website as soon as it is complete. We will print the final translations when the Lord moves us to do so. In regards to Mila's immigration situation, we patiently wait. We do not yet know what God's will is on this particular issue. Mila has received a dream followed by the "word" from the Lord that indicates that she will go to Jerusalem. When that will occur, nobody knows, nor do we know if or when she will return to the U.S. prior to that, if at all. Of course, it is our desire that she return here so that we may be together again. However, we know that God's will is often not what our will is, and we have been preparing ourselves for whatever outcome He directs. We have faith that no matter what He directs, it is for the greater glory and what is best for all. Therefore, we pray that His will be done, and that we have the strength and resolve to do His will. Updates to our ministry in Ukraine will be posted. All updates to this website are listed on our home page in the "What's New" column. Be sure to visit often and look for updates!